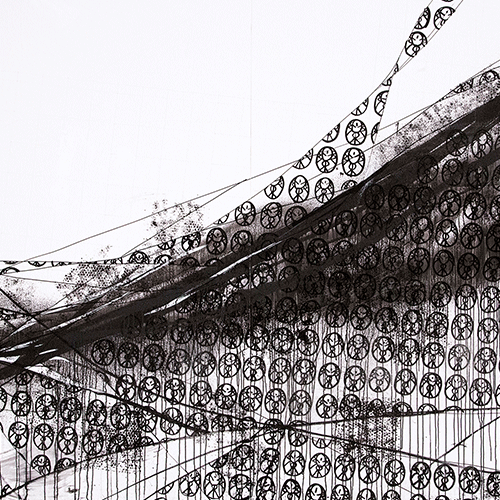 Karin Sato is a painter born in 1992 in Saitama Prefecture. 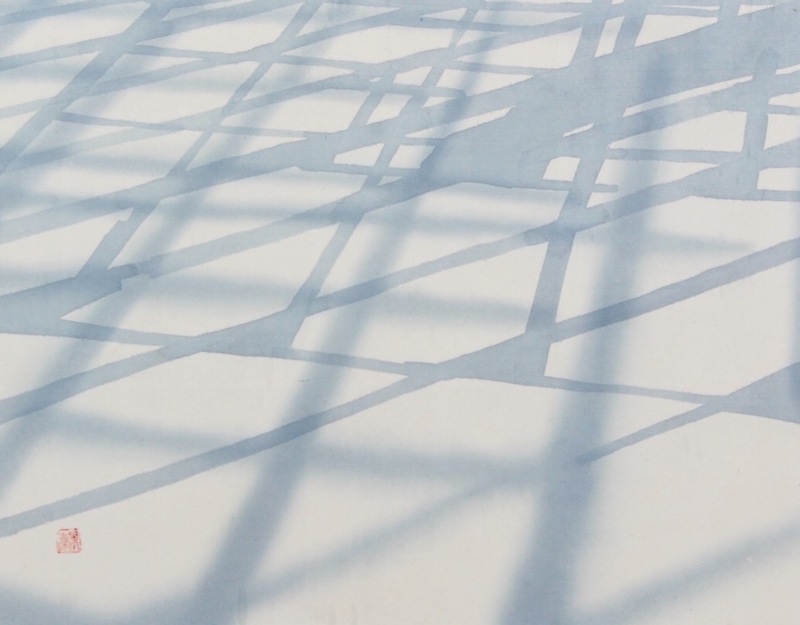 She uses traditional Japanese materials and methods to express the patterns in scenery as pictures. 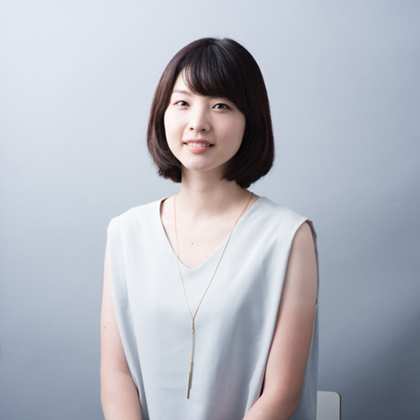 She is the recipient of the A-TOM ART AWARD and is currently studying in Department of Design of Graduate School of the Fine Arts at the Tokyo University of Arts after graduating the Japanese Painting course at the university. 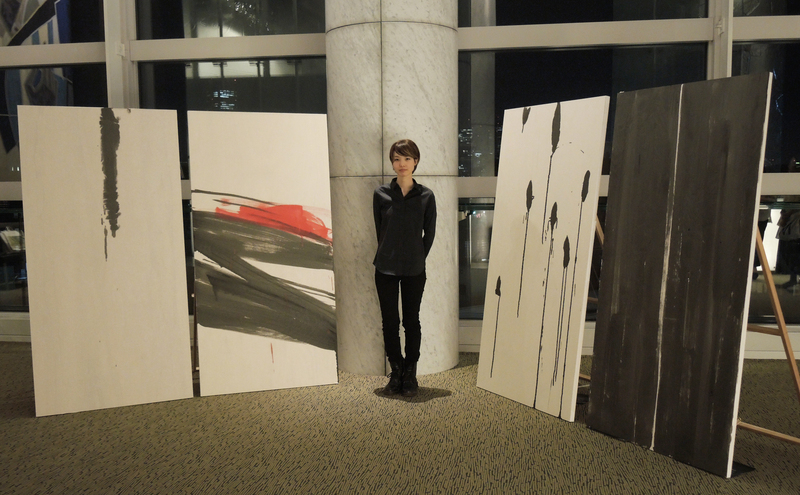 She also engages in live painting based on the Japanese painting style. 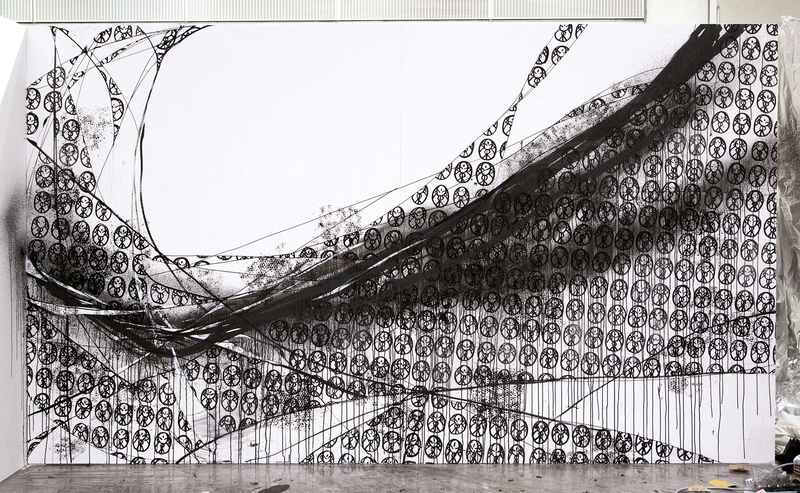 This work created as a live painting uses the Jizo (Kṣitigarbha bodhisattva) stamps that are a reinterpretation of the Buddhist stamps which are Japan’s oldest type of woodblock prints. It expresses a unique Zen-like world view. 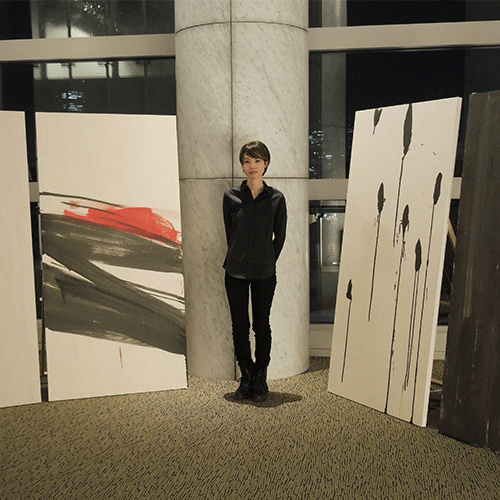 A live painting performance improvised on stage based on themes of the Japanese musical instruments koto and shakuhachi and the four seasons of spring, summer, fall, and winter. 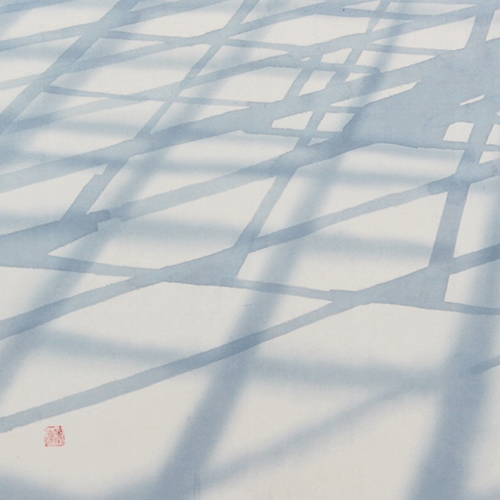 A series of Japanese paintings that pick out patterns in scenery. Jungle Gym in Asukayama Park.